We have enjoyed incredible success with our pioneering strategy of offering a standards based (.NET) programming environment for indicators and strategies. The types of add-ons created by our vibrant developer community wildly surpassed our expectations and prompted us to re-think how the NinjaTrader platform could evolve. 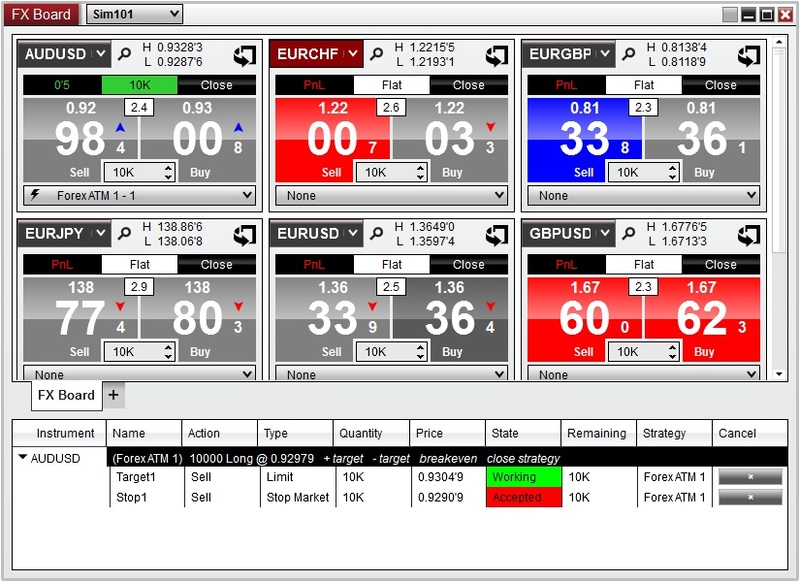 With NinjaTrader 8 we have created a true trading application development platform, allowing developers to build incredibly rich and integrated applications limited only by the imagination. We are confident that by providing formal support for deeper access into our core framework we will energize the community to build even better tools, adding significant value to our ecosystem (www.ninjatraderecosystem.com). Although we have made large advancements with NinjaTrader 8, existing users will feel right at home as general usability has remained intact. 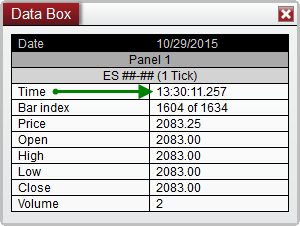 We hope that you are as excited as we are about NinjaTrader 8. 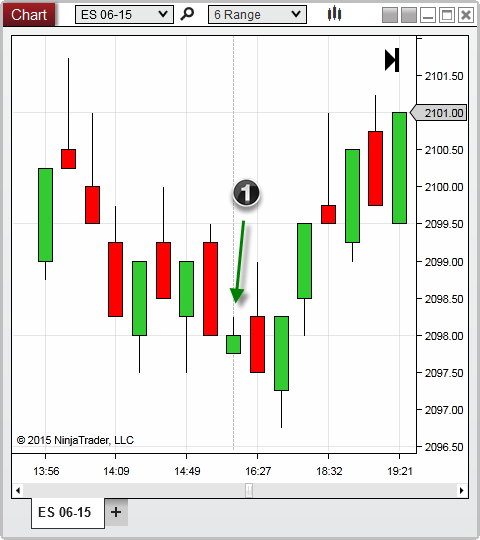 This document is a high level overview of the most significant changes in NinjaTrader 8. We developed a new tabbed interface which is available from all trading and market analysis interfaces, optimizing the amount of screen real estate and the number of workspaces used to monitor and trade several markets at a time. Tabs can be dynamically named based on the Tab Content, such as Instrument Names, Accounts, ATM Strategies, and more, or with custom user-defined text. Existing tab content can also be duplicated into a new tab or into an entirely new window. Tabs can optionally be disabled on any individual window in order to maximize the display. 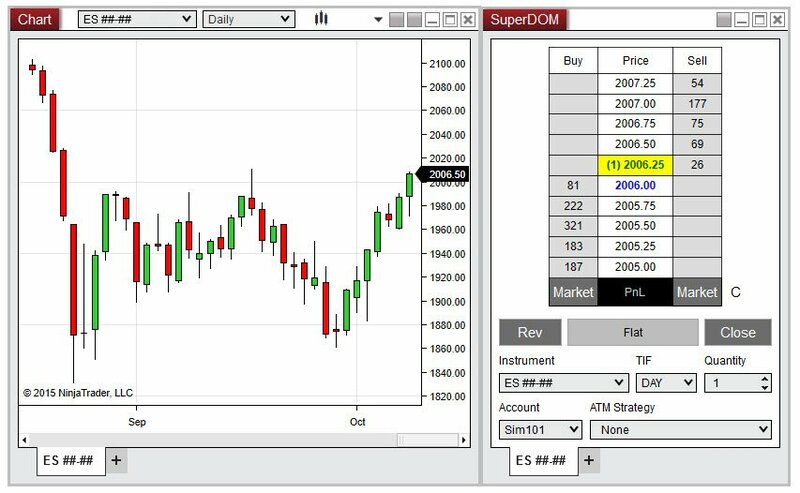 We introduced a new hands-free trade management concept which allows you to attach manual orders placed via Chart Trader or the SuperDOM to indicators, so that the orders will automatically follow the indicator values as they change. Configure your favorite indicator, such as an EMA, and watch as your working orders are modified to follow the price of the indicator precisely on each tick, on price change, or on bar close. Available for both manual entry and exit orders as well as ATM Strategy Stop Loss and Profit Target orders. Instant instrument switching has been added to all trading and trade-analysis windows, significantly reducing the time it takes to switch an interface from one market to the next. This feature also includes a quick search button to easily navigate to the Instrument Window to look up instruments directly from the Instrument Overlay Selector. Simply start typing into any active window, and the Instrument Overlay Selector will automatically appear. We designed a new Order Ticket Window which replaces the Order Entry panel from the Control Center Orders Tab. This interface is designed to work with all supported order types and includes an option to close the Order Ticket window after order submission to help keep your workspace clean. Designed as a sister window to the Control Center, the new Account Data window works as a supplementary account data display feature giving you the ability to organize multiple tabs or windows for better account tracking and management. Tabs can be duplicated from the Control Center to a new Account Data window, which performs user defined filtering based on connected accounts. You can filter each window or tab independently, allowing multiple windows and tabs to show data for individual accounts, including Orders, Strategies, Executions, Positions and Account Balances. 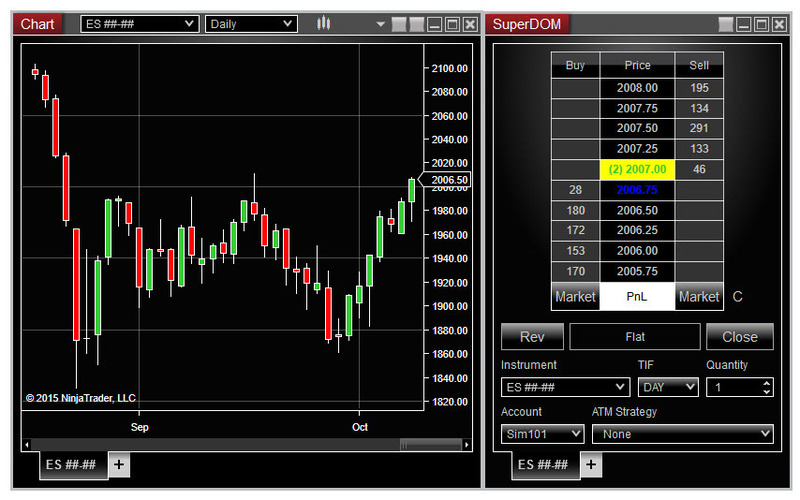 The methods used to manage instruments in NinjaTrader 8 have been renovated to evolve into a much more mature system. We’ve introduced the flexibility to pull instrument updates directly from our servers, ensuring users always have the latest broker and data feed symbol mapping, as well as any other exchange mandated changes, such as exchange hours and rollover dates. Any custom changes made by the user will not be impacted by server changes, which give users the flexibility to customize their own local instrument database, unless they optionally select to reset these settings to the latest server defaults. The Instrument Manager Window and Instrument Editor were both modernized and simplified. We designed a new menu for improved management of Instrument Lists. The multi-select feature allows you to dynamically add, edit, or remove multiple instruments to a list at once. 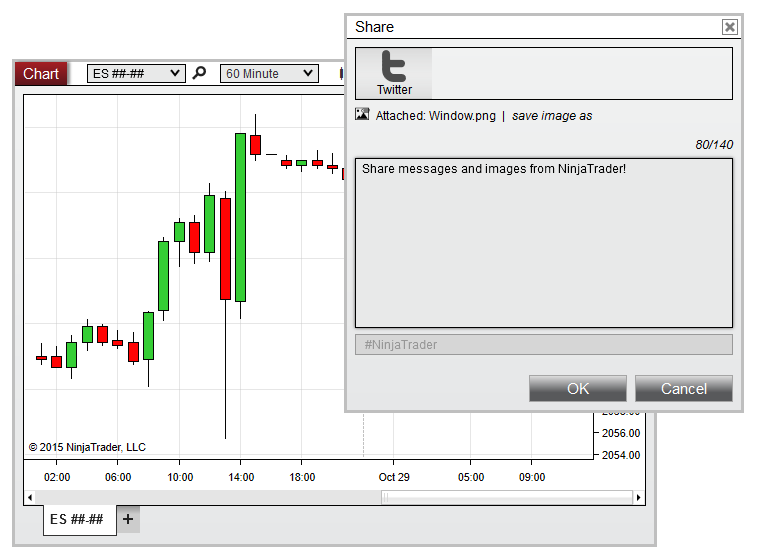 We’ve added an application-wide interface to share NinjaTrader 8 content via various social-media outlets. Users can share custom messages, images, and other content of any window, chart, or grid using the Share interface accessible from the right-click menu in any window. Services for Twitter, Stocktwits, and Email come pre-built, and NinjaScript developers can build their own Service through NinjaScript. 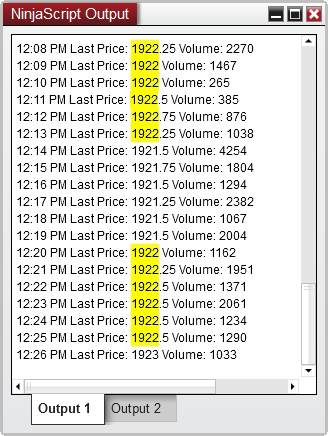 Market data time stamps are now processed and stored to the .NET ‘Tick’ which is the equivalent of 100 nanosecond resolution, allowing for much finer granularity when timing orders and working with price data. 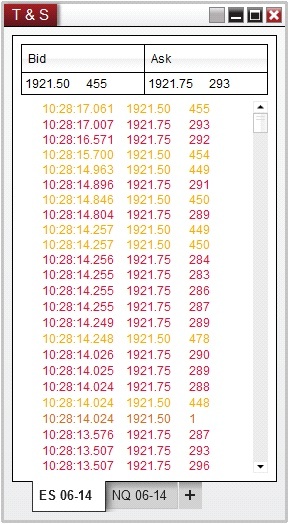 Historical Bid/Ask data is now stored with each last trade tick data. For NinjaScript developers, you can now add data series with a Bid or Ask price type into your indicators or strategies, allowing you to access historical Bid/Ask data per tick. We have redesigned the NinjaTrader 8 Control Center, which allows for quicker and more intuitive navigation, as well as a more efficient workflow. Connections and Workspaces menus have been moved directly to the Main Menu bar for easy access, and the Account Performance tab has been moved to its own dedicated Window (Trade Performance). In addition, the tabbed interface of the Control Center has been replicated across all trading and market-data windows, allowing for greater flexibility in comparing instruments or other data within a single window. We updated our Instrument Selector to be standardized across all order-entry windows, and it now saves recently viewed instruments for quick access later. We also introduced a new feature to pin your favorite instruments to the quick-access list, replacing the former concept of a "default" instrument list. Likewise, we removed the requirement for the default instrument list, which means you can now access any custom list and your favorite instruments from any interface. 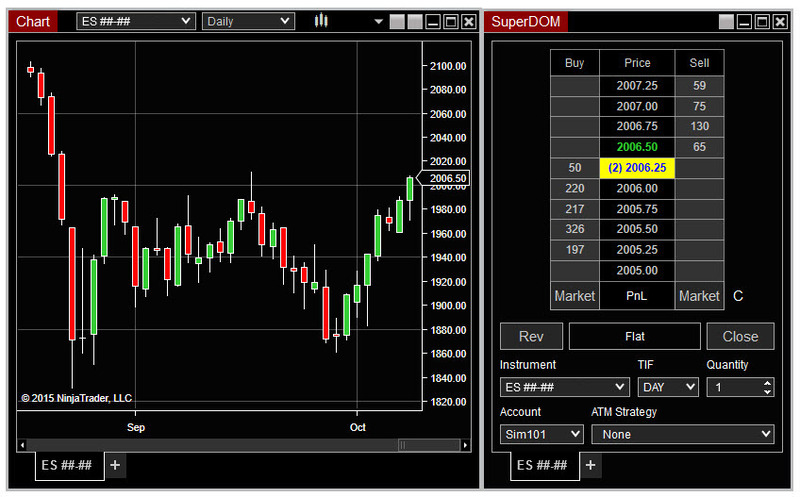 We've added the ability to apply different "skins" to customize the look of NinjaTrader 8. In addition to the five pre-built skins available in the platform, users can create their own custom skins for endless customizability of colors, margins, and other layout elements. Formerly named the “Session Manager”, our new Trading Hours window was designed for easier management of the templates used for charting, indicator calculations, real-time strategy execution, and strategy backtesting periods. 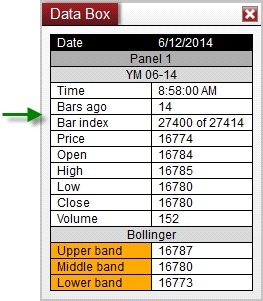 Each session now has an “EOD” (End of Day) option to support multiple trading session definitions within a single day. We also added Holiday support to handle various scheduled breaks in exchange hours (Early Close, Late Open, or Full Day Holiday). Sessions and Holidays can now be downloaded and updated from NinjaTrader servers, providing the ability for exchange mandated changes to be pushed to all users, rather than needing to reconfigure these updates individually. The Workspaces menu has been integrated directly into Control Center toolbar for faster switching and workspace management. Inactive workspaces are visible from the Workspaces menu for a more functional approach to workspace organization. All windows opened outside of the viewable range of a monitor can be moved back in view of the primary screen with a single click. From the Positions grid, you can now apply an ATM Strategy to an open unprotected position. 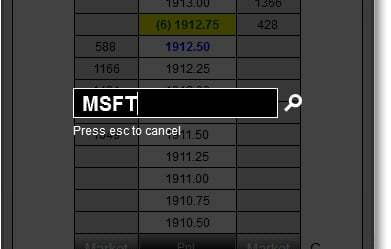 This allows you to add a layer of semi-automated risk management to a position after it has been filled. 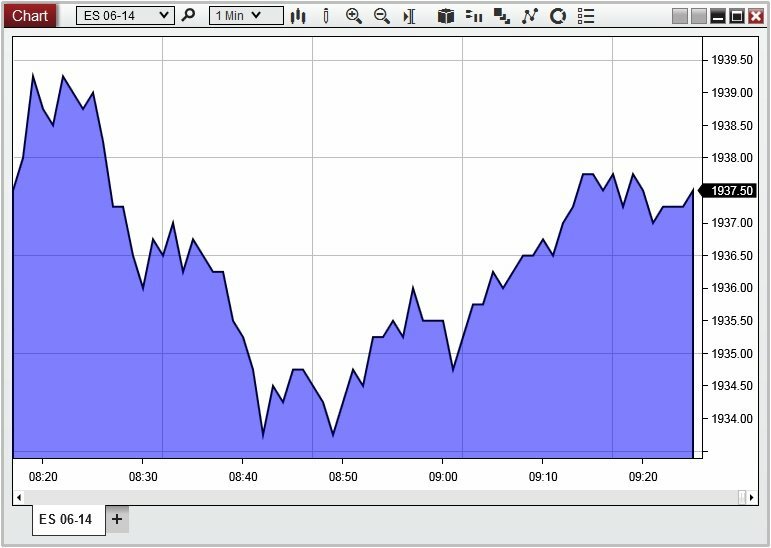 We fully conceptualized our take on a new market data and trading interface designed specifically for Forex and CFD products -- The FX Board. The market display components are laid out as a number of tiles, allowing you to view multiple instrument tiles at once. Each tile will be highlighted as the bid or ask price updates, to represent either an up-tick or down-tick in price. 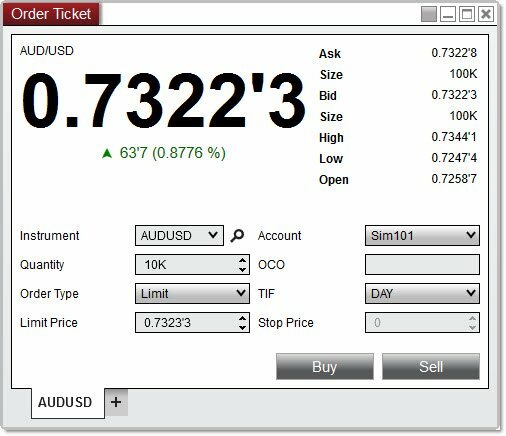 These instrument tiles double as an quick order entry interface, as well, allowing you to quickly place buy/sell Market and Limit orders at current market prices. Flip the tile around to expose a more robust manual order entry feature that enables you to place orders at a specific price level. 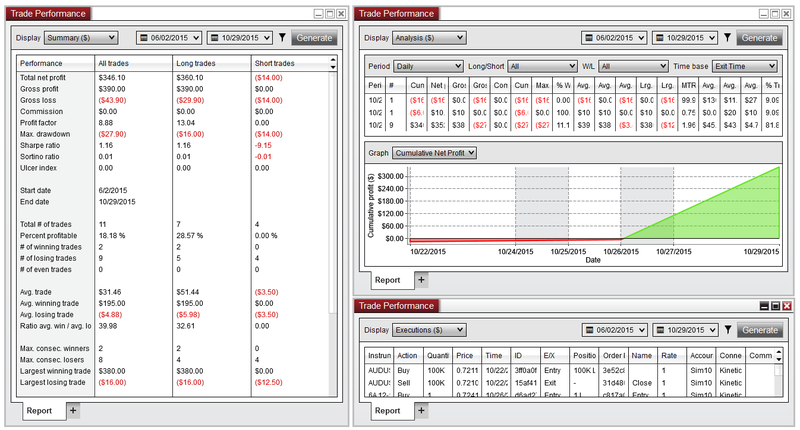 You will also view current account position, profit and loss, and open orders using the Orders Grid. 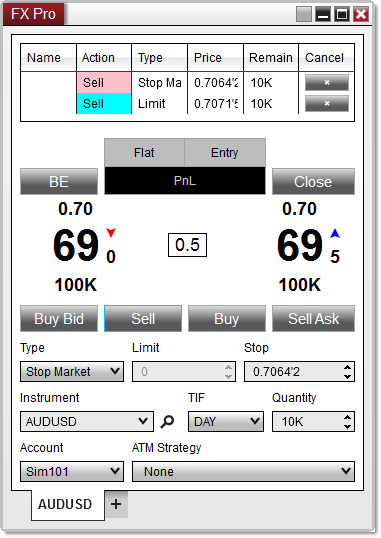 The FX Pro window has received a number of design updates for a more visible and readable Forex quote display that is consistent with FX Board. The order controls received a few tweaks, such adding the ability to manually edit the Limit and Stop price fields, and quick controls to bring in the current bid and ask price. In addition to the new Account Data window, we have taken steps to improve the mechanics of the account data grids and displays. NinjaScript strategies now have the ability to synchronize the strategy position to adopt the real world account position. This improvement allows users to re-start their strategy completely in tune with their live account, without having to recalculate the strategy when enabling, after restarting, or when making changes to the strategy. The Account Performance tab was removed from the Control Center and redesigned as a dedicated window (Trade Performance) that can be saved to the workspace in order to recall previous settings, and which permits multiple window instances and multiple tabs within each window for a more thorough analysis and comparison of different reports. We added a number of additional features and enhancements and also various bug fixes regarding display and calculation of data. We stylized the existing graphs used in both the Account Performance window and the Strategy Analyzer to make it easier to analyze trade data and also added a new “Analysis” display which integrates Periods and Graph analysis which are interactive with the period selection. We added a new window to centralize the management of all database operations, along with the added capability to update Instruments, Instrument Lists, and Trading Hours directly from NinjaTrader 8 servers. Automatic updating of database items removes the need to manually edit or reset instruments, ensuring that database items can always be up-to-date with a single click. Automatically roll over future contracts to streamline the rollover process between contract months. 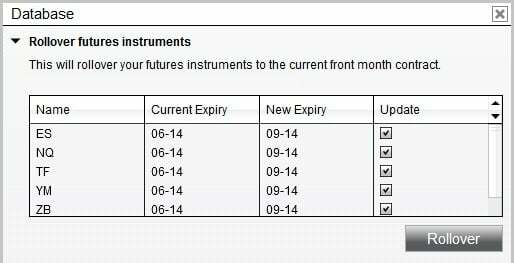 This database feature goes through all instrument lists and finds the futures that are ready to roll over based on their rollover dates, and will update your existing lists when requested. 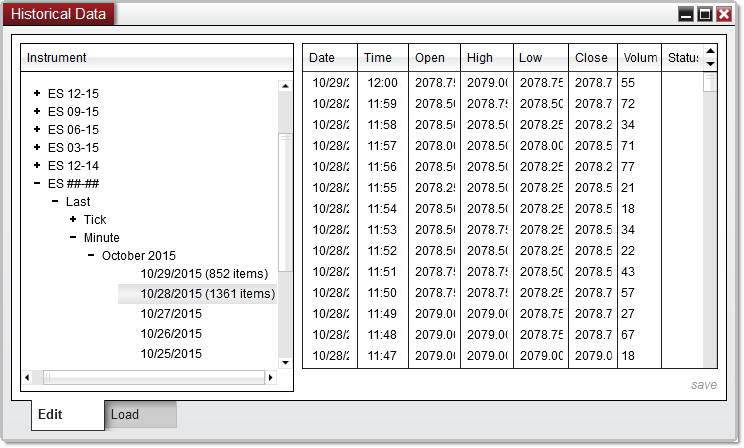 The Historical Data Manager has been redesigned, and renamed to the Historical Data window. This update centralizes the management of all data types, including Playback data, which was previously managed in a separate window. The Historical Data window will allow users to visualize and edit both their historical and Playback data, as well as import, export, and download new data, all from a single interface. Our alerts functionality has been completely redesigned to allow the execution of complex conditions without programming of any kind. Multi-object alert conditions are now supported, allowing you to compare two data series or indicators. Alert conditions have been extended to work natively on charts, and now manually drawn Chart Objects can be used as an input condition for any alerts. 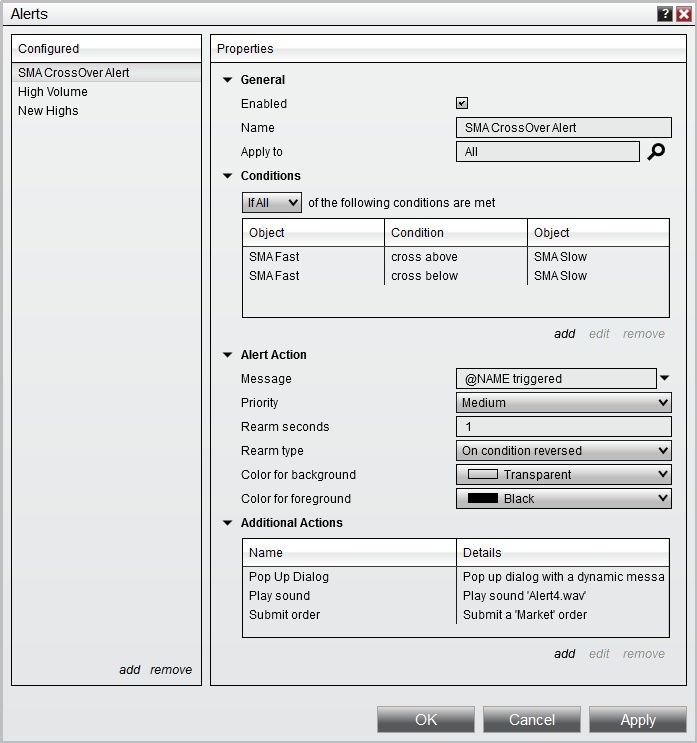 Alerts are also flexible, in that you have the option to apply alerts to all instruments, or even a specific typeset of instruments, as well as define “if all” or “if any” conditions would need to be satisfied in order for the alert to trigger. The Alerts Log has been improved to now show all alerts generated in the session, rather than alerts since the window was open. A new feature allows users to display all alerts from all open workspaces in a single Alerts Log window, or to suppress any alerts originating in inactive workspaces. The new "Go To Alert" feature will immediately bring the window which triggered an alert into focus in your workspace. We’ve also added options to filter and sort by Instrument Type and Source (Charts, Market Analyzer, NinjaScript, etc.). Similar to the Market Analyzer, the new Hot List Analyzer dynamically loads “hot lists” from market data providers who supply this information, such as Kinetick. This new window retains all the behavior of the Market Analyzer, allowing you to add columns and indicators for adaptive market analysis. We’ve also included the ability to create an instrument list directly from the Hot List Analyzer to easily access these lists from anywhere in the platform. The Market Analyzer has been improved to allow for more robust management of different groups of instruments and columns. From the Instrument Search, you can now select multiple instruments to quickly add to or remove from the Market Analyzer display. You can also apply Cell or Filter conditions to a specific instrument name(s) to allow for more customizable conditions. We now support custom Market Analyzer column development in NinjaScript, which means that you can develop your own custom columns to run directly within the Market Analyzer. 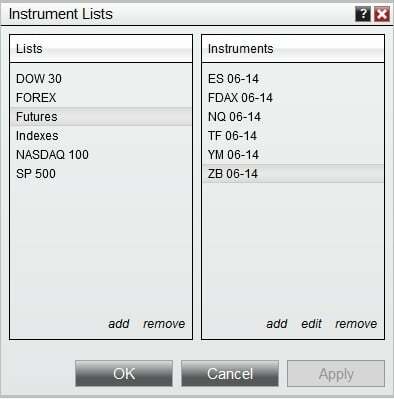 Instruments lists can now be created from an open Market Analyzer window. 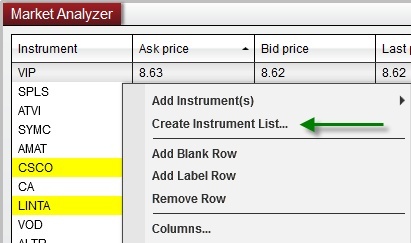 Simply select Create Instrument List in the Market Analyzer's right-click menu to add all selected instruments to a new Instrument List. 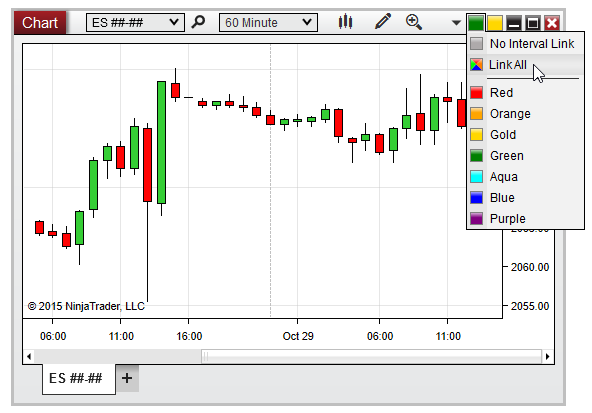 Trading Hours templates can now be applied to each indicator column to help control data requirements for specific columns. 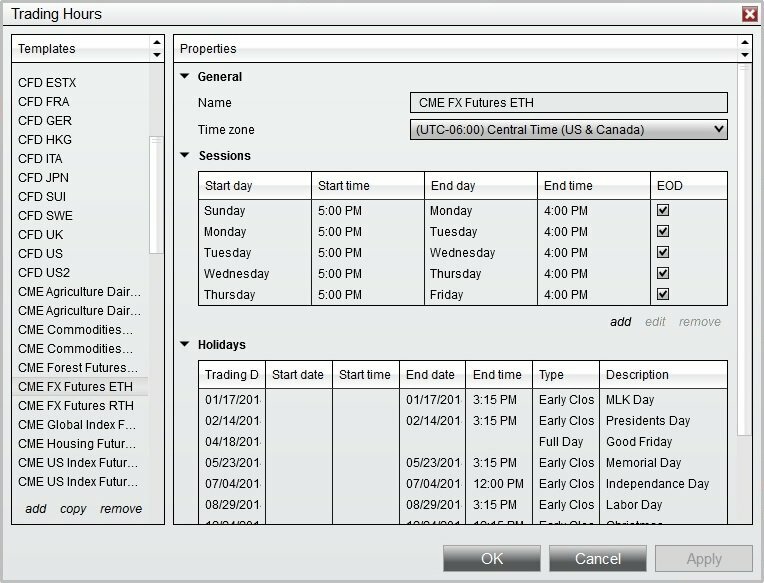 Using Trading Hours templates allows you to restrict the data used in historical and real-time data processing in a specific column. The Time and Sales display has been improved to seamlessly display market data updates without flickering, which allows for a smoother and distraction free operation. We’ve re-designed the chart’s Interval Selector for more intuitive navigation. The new Interval Selector is now 100% customizable (factory defaults shown in the image below, but all values can be changed, and additional interval types can be added). This new design allows for users to completely define the interval types as well as the values used for easy access from the charts. 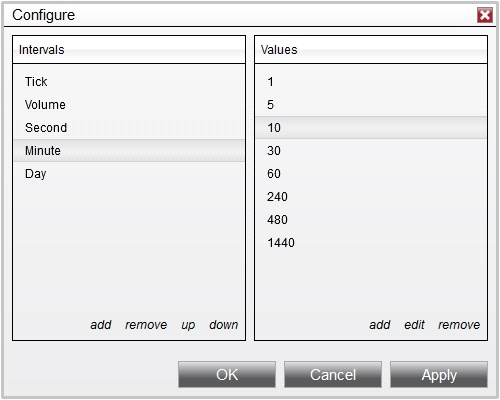 You can also remove or add the interval types as well as change the order in which they are displayed in the selector. Based on the familiar instrument link feature, we’ve added a new Interval Link to charts, which will allow you to duplicate interval changes from one chart to another. For example, if you have two different instruments set to a 1 minute chart, you can now link these two charts where switching one chart to a 15-minute interval will also update the interval on the linked chart. Charts now have an option to automatically rescale the bars on a chart to ensure the last traded price is exactly centered on the price axis. You can now lock the crosshair to a specific point on the time axis. This allows you to freely move your cursor to other areas of your desktop without disturbing the placement of the crosshair in order to further analyze price at a specific time point. We’ve added presets to chart styles, allowing you to further customize different styles based on specific periods that are selected. The chart’s data box has been updated to include multiple indicator plots, and individual plots can be displayed or suppressed via a property in the Indicators window. In addition, we have added the option to display “Bars ago” and “Bar index” values to aid in the process of debugging NinjaScript indicator and strategies. Drawing tools have been improved in a number of ways. In previous versions, only a handful of drawing objects had the ability to define and save multiple settings via templates. 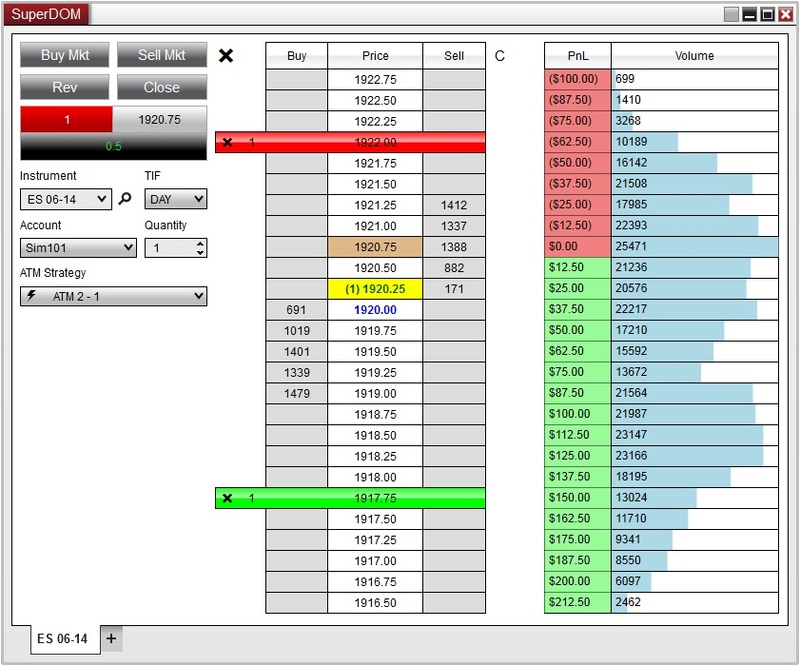 In NinjaTrader 8 we have enhanced all drawing objects to all include a template option. This allows you to define multiple different settings for a single Drawing Tool and apply these templates in a more efficient manner. When using Global drawing objects, you can now set these to be global across all workspaces, or for only a single workspace, allowing you to eliminate certain drawing objects from specific workspaces if desired. All Drawing Tools have been implemented as NinjaScript objects, allowing developers to build their own custom drawing tools. When adding more than one data series to a chart, NinjaTrader 7 used a non-equidistant bar spacing by default, in order to accurately align each bar series to the time axis. 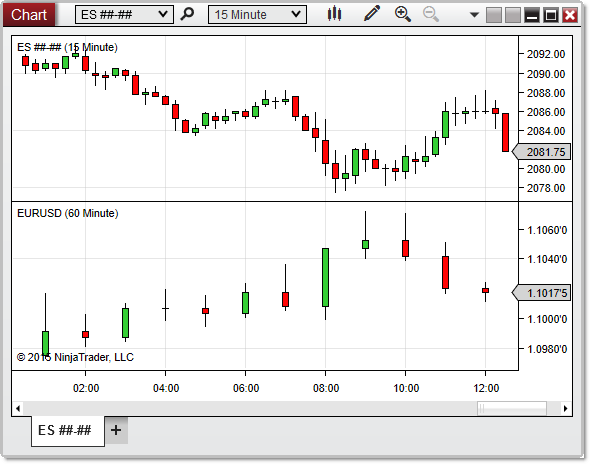 This charting display mode has been improved in NinjaTrader 8 by giving you the option to mix the equidistant bar spacing display. 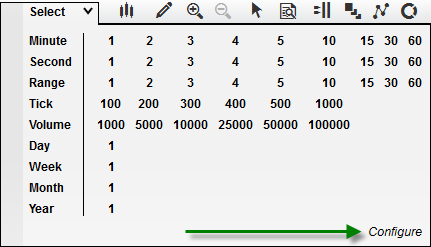 This gives users the ability to select which period is used to space the bars evenly and ensure that additional bar series follow this sequence. In NinjaTrader 7, Data Series set to a non-time-based interval, such as Tick or Renko, could be cut at the end of the trading session, at which point a new bar would begin to be painted in the subsequent trading session. 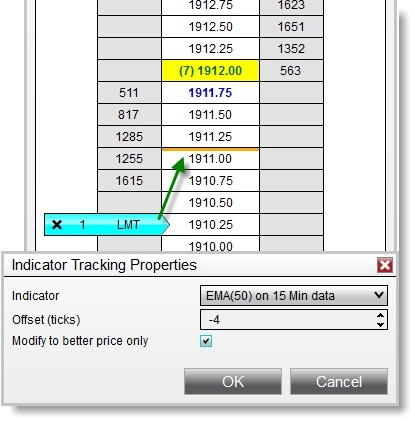 If the new property “Break at EOD” is set to false, a tick based bar would carry over from one session to the next, spilling over the end of the session defined in the Trading Hours template. Market Replay was renamed to Playback and now has the option to play back historical tick data downloaded from a market data provider such as Kinetick in addition to the classic Market Replay data files, just like previous versions. We’ve also enhanced the Market Replay data structure by storing Level 1 and Level 2 data in a single file, which ensures 100% accurate replay sequencing. Playback now pre-loads the current day when connecting, which ensures that during fast forward operations the entire day is replayed. This ensure that every session is fully stable. We also added faster playback speeds (100/200/300/500/1000) and a new “Max” speed which will process as many ticks as your CPU can handle. 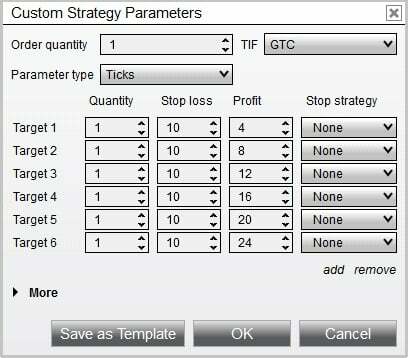 The Strategy Analyzer has benefited from many of the general performance enhancements done to the NinjaTrader 8 codebase, which has improved the speed of backtesting and optimizing substantially. We’ve added the ability to save a Strategy Analyzer session in the workspace. When restored, a Strategy Analyzer saved in a workspace will restore the last tested result summary, allowing you to pick up where you left off after a restart. You can also now save multiple templates of individual strategy settings, permitting you to research and track many different scenarios using the same strategy. The Strategy Analyzer has a new “Log” feature which allows you to save results and keep records of each backtest and optimization in real-time. This will help you track your progress as you perform new backtests and optimizations where you can even pin/remove favorite results to review for later as you attempt to obtain better results. The new log will also allow you to filter by instrument, strategy, and date of backtest, as well as leave custom notes and remarks on the results themselves. Additionally, each result logged will save a snapshot of your strategy code so that you can compare your working copy to previous generations. This can allow you to keep track of changes in backtest performance resulting from changes made in code. After you’ve refined your strategy parameters through backtesting and optimization procedures, you can quickly save a series of parameters in an unlimited number of templates specific to that strategy. This allows you to quickly move your desired parameters from backtesting to live deployment without the need to re-input the optimized values when finally deploying your results to a live trading system. We’ve addressed several performance limitations in terms of optimizing time values, boolean variables, and enumerated constants, to ensure that the optimizer takes full advantage of multi-threaded processors. 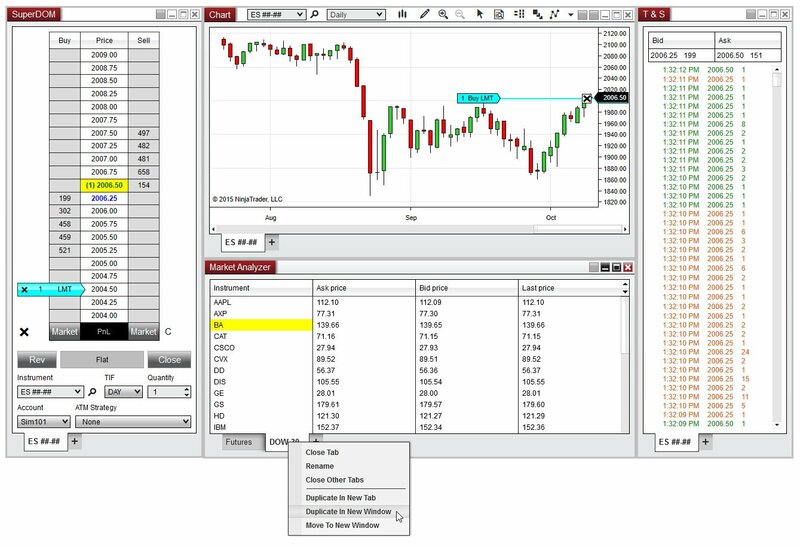 Additionally, the 64-bit version of NinjaTrader will automatically store trade details for each backtest in memory, which allows for quicker analysis. 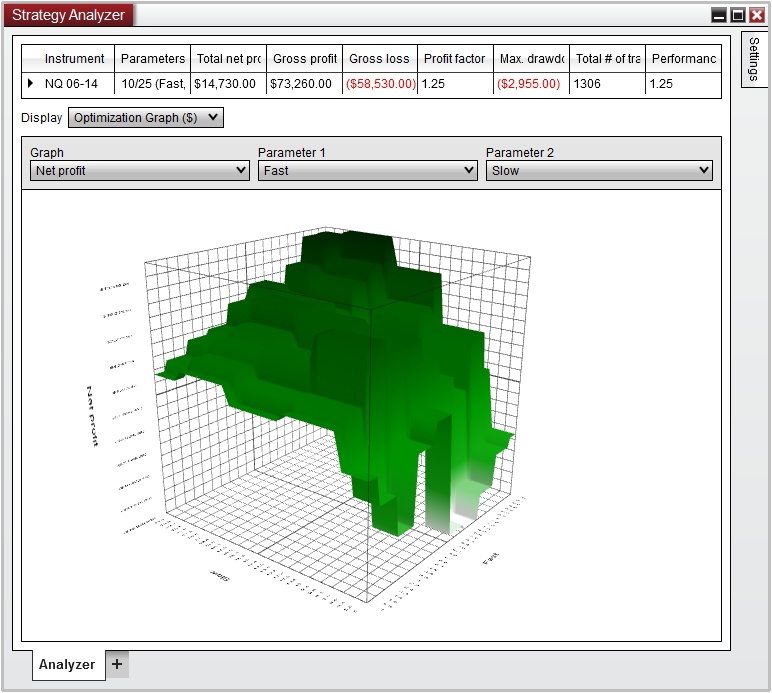 In addition to the general 2D graphs used to review strategy performance, we’ve introduced a new 3D graph for analysis when using two or more parameters in an optimization test, helping you visualize how each input parameter influences the results of your overall strategy performance. You can now select multiple optimization objectives to test the best tradeoff between the performance of different parameter combinations on individual fitness metrics. Once completed, you can display results in the form of a Pareto Graph which shows the set of parameter combinations for which there are no superior alternatives on all metrics tested. oExample: Find the results of the most profitable strategy with the least draw down risk, and every best combination thereof. The new Trading Hours templates allow for more accurate optimization when performing walk forward analysis, especially while using trading hours which span multiple days. Our NinjaScript® Code Wizard, which is used to generate minimum required code for new scripts, has been updated to include all supported NinjaScript object types. We’ve also enhanced the available configuration options to help generate the desired script base in a much more efficient manner. 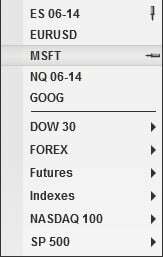 Newly added NinjaScript Suspension Optimization allows programmers to halt market data events from being processed when an indicator is not visible (such as Chart window minimized or another window is on top of the window hosting the indicator), saving CPU resources when not in use. 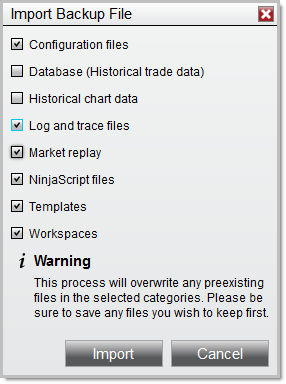 We’ve included an optional NinjaScript feature which will replay OnMarketData on each tick stored in the database. This will ensure that your indicators and strategies receive the exact sequence of stored events for the most accurate calculations on historical data that include the historical bid/ask price, just as you would expect in real-time. NinjaTrader 8 will introduce a new level of depth and breadth which will allow developers to build incredibly rich and integrated trading applications limited only by their imagination. •Controls such as Instrument Selector, Account Selector and Quantity Selector, Instrument Link, Interval Link etc. NinjaScript is no longer limited to writing custom indicators and strategies. The possibilities are truly endless. 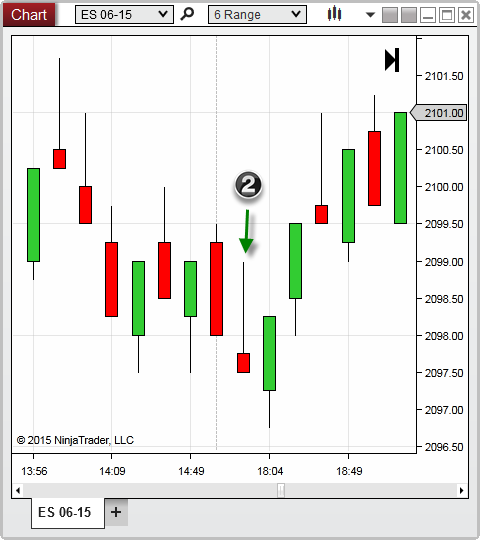 Build what you can dream of and integrate it directly into the NinjaTrader 8 application. The NinjaScript Editor has been redesigned to include a new NinjaScript Explorer menu which is pinned to the right side of the editor. This new explorer feature allows developers to nest and organize different NinjaScript files into custom folders, in order to easily locate and reference other scripts directly from the editor itself. Additionally, we’ve included the ability to exclude scripts from compilation if they are still under development or contain code breaking changes that would have previously prevented developers from working on secondary scripts. This new feature gives developers the flexibility to keep their undeveloped scripts installed on their system and accessible from the Editor until the scripts are ready to be compiled. The NinjaScript Editor now supports direct Visual Studio Integration, which means you can open, edit, and debug your classes directly in Visual Studio. This allows the NinjaScript Editor to detect changes made outside of itself and automatically reload these changes in order to compile. 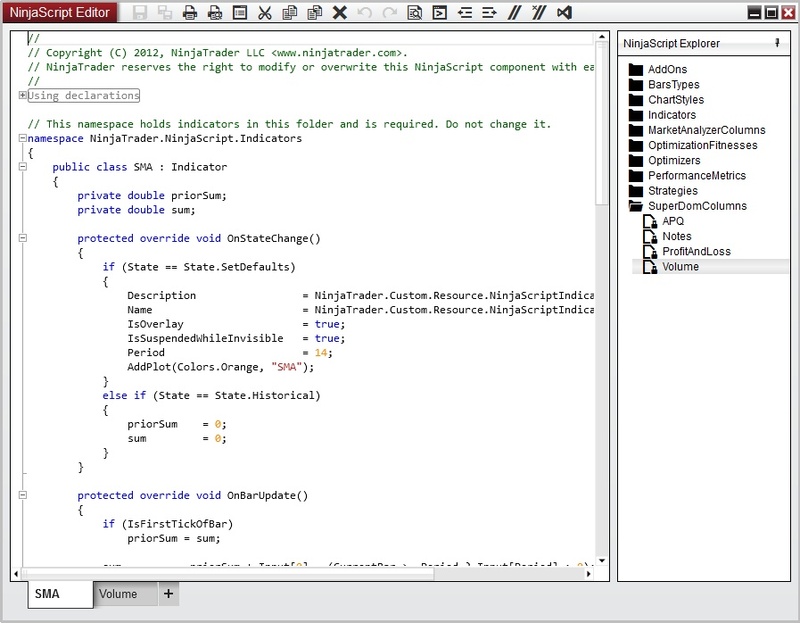 This functionally applies to any other text editor of your choice, giving the ability to directly edit files outside of NinjaTrader 8 should you desire. Strategies can now work with real-world order, execution, and account information. This greatly improves the startup behavior of the strategy, allowing it to adopt the real-world position and continue operation as if the strategy was running. The NinjaScript Output window has received a number of upgrades. Firstly, we’ve introduced a new smooth scrolling operation to help track and navigate data as it added to the output window. The Output Window is now separated into two tabs, and you can choose which tab to use when outputting data via NinjaScript. This allows for a Dual View mode and synchronized scrolling operation to help compare data output from two scripts. There is also a new facility to search for strings, and simply double clicking on a string token will quickly highlight any other strings that match that token. We updated the quantity selector to provide users with quick access to preset quantity values, as well as increment values which can be customized ahead of time. ATM Strategies have largely remained the same, with some slight improvements based on customer feedback over the years. Most significantly, you can now set an unlimited number of Stop Loss and Profit Target orders, resulting in more dynamic trade management. 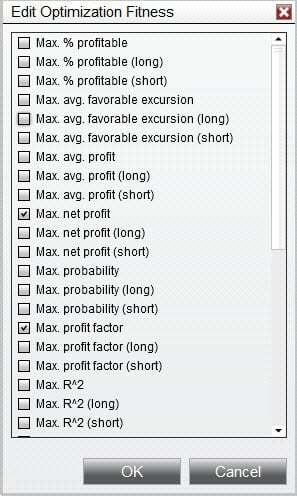 Profit target orders can optionally use the Market If Touched (MIT) order type rather than Limit orders. 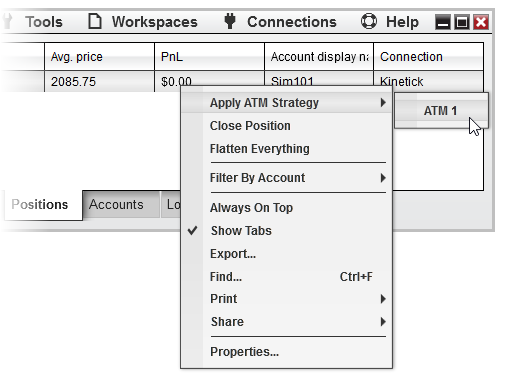 Hovering your mouse cursor over a selected ATM Strategy will now display informative tooltips displaying details of the strategy parameters without having to open the ATM Strategy Parameters itself. 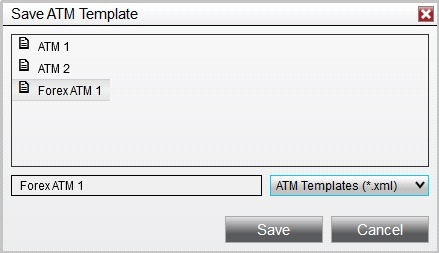 We removed the ATM Strategy template files from the database, and now store them in individual XML files for portability between computers. 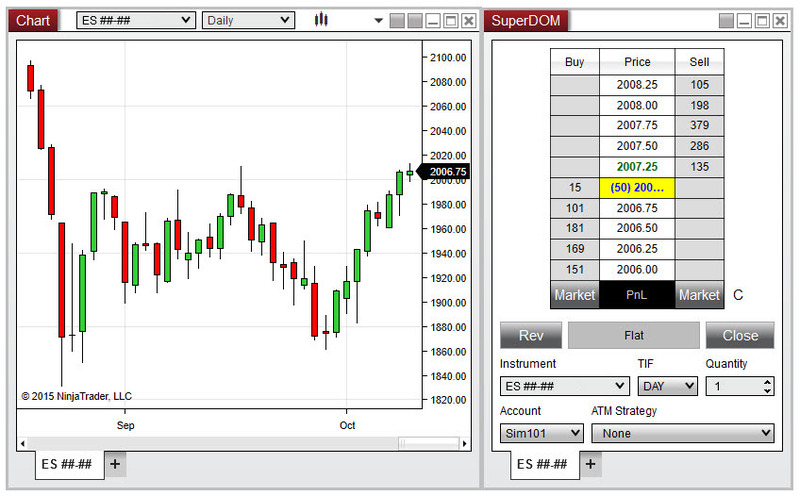 The Chart Trader interface has been improved, and can now be used on mulit-instrument charts. 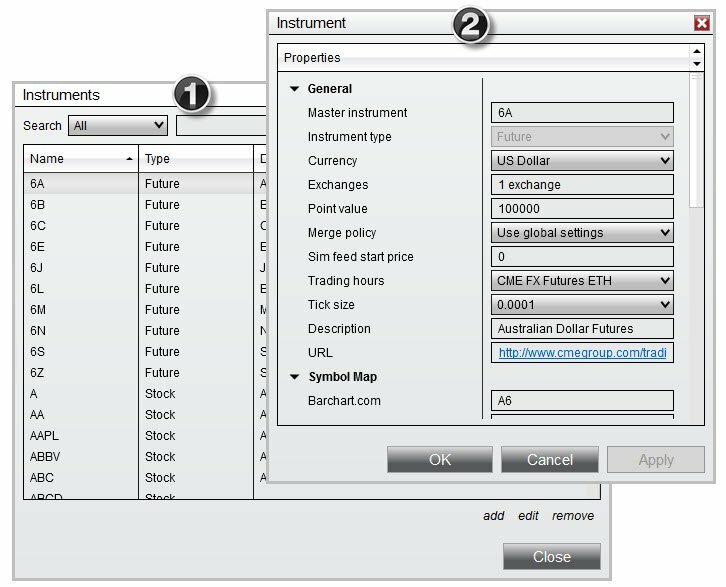 Previously, Chart Trader would only allow you to trade the primary instrument on the chart. Now we’ve given users the option to select which instrument on the chart they would like to trade. 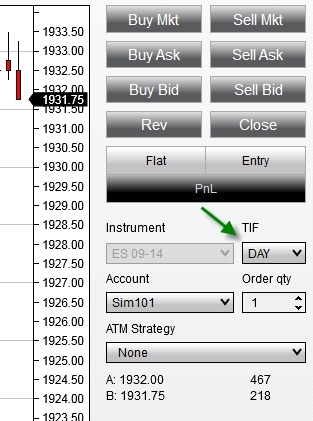 The TIF option is now always visible, improving the control of the order types used on this interface. 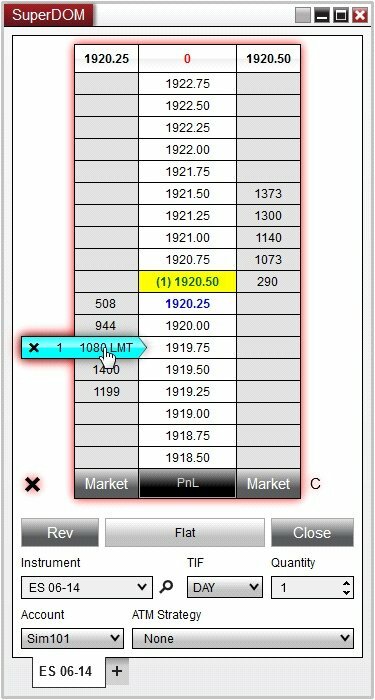 The indicator tracking feature discussed in the General section of this document is also available from Chart Trader, allowing you to synchronize orders on Chart Trader with indicators which have been added to the chart. 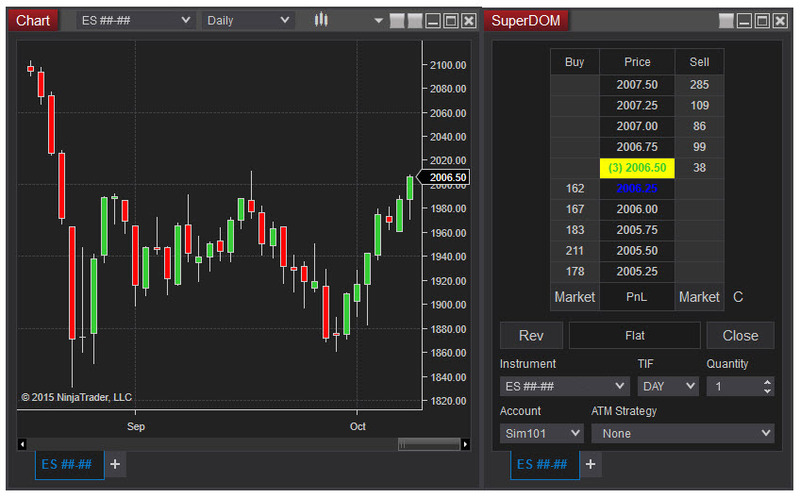 The SuperDOM has been redesigned to provide significant performance and usability improvements, and can now plot indicator values on the price ladder itself. The number of rows and size of the price ladder display will now dynamically update as you resize the window. The number of market depth levels is only limited by your data provider, meaning if your provider offers 10 levels of market depth, the SuperDOM can be configured to display all 10 of these levels. The Dynamic SuperDOM’s “Hold” button has been removed and replaced by a new “hover” mode which will temporarily freeze the price display when the mouse cursor hovers over the price display, allowing for a quicker and more intuitive order management process.